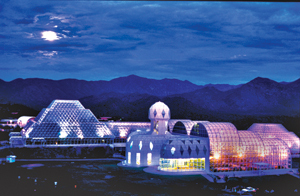 Tucson is home to the University of Arizona with National Championship athletic teams, BioSphere, a premier research facility and is the top 15th ranked university for PhD programs for students studying abroad. Pima Community College offers “neighborhood” campuses all over the city adding convenience as well as excellence. Few cities can compare with the mild winter climate in Tucson that brings thousands of winter visitors each year. The cost of living in Tucson is 6% lower than the rest of the US and yet the educational and cultural opportunities are excellent. It goes without saying that Tucson has high quality educational systems to ensure the success of Homestay students studying abroad. University Success Abroad leads the way in providing first class full service, including native speakers and translators. “Our business is helping you succeed” is our motto. Our Homestay, Apartment and Roomate programs as well as our One Community Programs do their part to make your university experience a successful and profitable one. We invite you to be part of this wonderful city and begin your educational adventure with us. We, in partnership with all educational communities in Tucson, are a valued member of this community. Our staff knows the university, the neighborhoods, the city and we speak your language. We want to welcome you and assist you get off to a strong start on your new venture. Click for more about how to get started at USuccessAbroad.